Orlando Science Center Winter Break Camps – Orlando Science Center Winter Break Camps are coming December 21, 2018 – January 4, 2019. Care is available from 9 AM to 4 PM. Don’t disrupt your regular routine while school is out for two weeks! 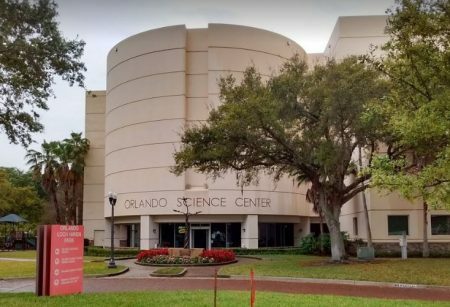 Orlando Science center is offering full-day school break camps for elementary school students when Orange County Public Schools and Seminole County Public Schools are out of session. Topics include learning how to care for your favorite animals in Pet Vets, discovering the basic principles of robotics in Who Loves Robots? WEDO! And experimenting with UV rays in Lasers Engage! Weekdays from December 21 through January 4. Early and late care are provided at no additional cost. Campers can be dropped off as early as 7:30 a.m. and picked up as late as 6:00 p.m.
$80 per day for members and $90 for non-members. Grades K-2: Who Loves Robots? WEDO! For more information, please call 407.514.2112 or email classes@osc.org. Disclaimer: This Orlando Science Center Winter Break Camps event is subject to last minute cancellations and changes which might not be reflected in this MyCentralFloridaFamily.com post. Please always confirm with this family-friendly business by calling or clicking.